Find here Mur Hotels coupons and deals. 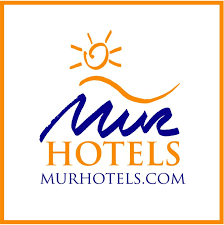 Mur Hotels is a hotel group with 4 holiday hotels on the Canary Islands. Since the 70’s, Mur Hotels have been focusing on offering the best quality service to their guests; a philosophy which its four establishments (three in Grand Canary: Hotel Neptuno Grand Canary Adults Only****, Apartments Buenos Aires Grand Canary** and Bungalows Parque Romantico Grand Canary** and one in Fuerteventura Hotel Faro Jandía Fuerteventura ****) reflect. With all their establishments, the hotel group Mur is a modality of modernity, quality and good service in the Canary Islands. Come to spend your holiday with us, and enjoy the Mur-service!